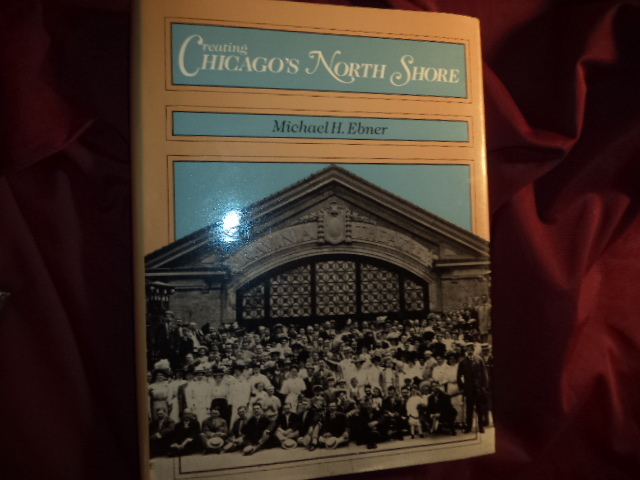 Ebner, Michael H. Creating Chicago's North Shore. A Suburban History. Photo available. Chicago. University of Chicago Press. 1988. 338 pps. 4to. Hardcover. First edition. Full number line. Illustrated. Important reference work. Fine copy in fine dust jacket (in mylar). 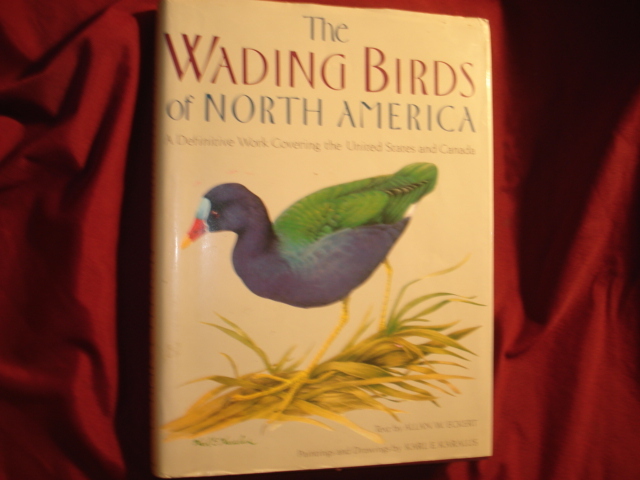 Eckert, Allan W. The Wading Birds of North America (North of Mexico). A Definitive Work Covering the United States and Canada. Photo available. New York. Weathervane. 1987. 4to. Hardcover. First edition. Illustrated in black, white and color. Fine copy in fine dust jacket (in mylar). Eckstein, Gustav (1890- ). In Peace Japan Breeds War. New York. Harper. 1943. 326 pps. Octavo. Hardcover. First edition. Very good copy. Light shelf wear. Dust jacket glued down. Eckstein, Gustav. Canary. The History of a Family. New York. Harper & Row. 1936. Octavo. Hard cover. First edition. Illustrated. Fine copy. Economides, Michael. The Color of Oil. The History, the Money and the Politics of the World's Biggest Business. Katy. Round Oak. 2000. Octavo. Hard cover. First edition. Illustrated. Fine copy (owner blind stamp) in fine dust jacket (in mylar). Eddy, Paul. The Cocaine Wars. New York. W.W. Norton. 1988. 399 pps. Octavo. Hardcover. First edition. Illustrated. Fine copy in near fine dust jacket (in mylar). Edell, Dr. Ronnie. The Sexually Satisfied Woman. The 5-Step Program for Getting Everything You Want in Bed. New York. Dutton. 1994. 185 pps. Octavo. Hardcover. First edition. Fine copy in near fine dust jacket (in mylar). Edelman, Bernard. Centenarians. The Story of 20th Century by the Americans Who Lived It. New York. Farrar, Straus and Giroux. 1999. 4to. Hard cover. Second edition. Illustrated. Fine copy in fine dust jacket (in mylar). Edelman, Rob. Matthau. A Life. Photo available. London. Taylor. 2002. Octavo. Hard cover. First edition. Illustrated. Fine copy in fine dust jacket (in mylar). Edgson, Vicki. The Food Doctor. Healing Foods for Mind and Body. London. Collins & Brown. 1999. Octavo. Soft cover. First edition. Illustrated in black, white and color. Fine copy. Editors of Guideposts. Angels Among Us. Carmel. Guideposts. 1993. 128 pps. Octavo. Hardcover. First edition. Illustrated. Fine copy in fine dust jacket (in mylar). Editors of Guideposts. Angels Watching Over Me. All Night, All Day. Carmel. Guideposts. 1995. 274 pps. Octavo. Hardcover. First edition. Illustrated. Fine copy in fine dust jacket (in mylar). Edmonds, Anne Carey. A Memory Book. 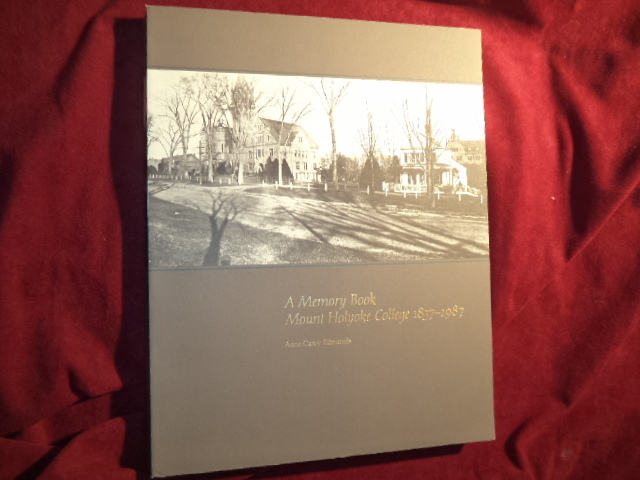 Mount Holyoke College. 1837-1987. Photo available. South Hadley. Mount Holyoke College. 1988. 198 pps. 4to. Soft cover. First edition. Illustrated. Important reference work. Fine copy. 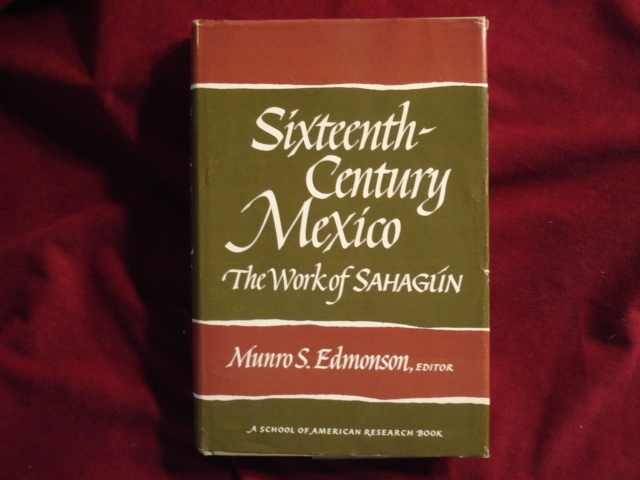 Edmonson, Munro S. Sixteenth-Century Mexico. The Word of Sahagun. Photo available. Albuquerque. University of New Mexico Press. 1974. Octavo. Hard cover. First edition. Illustrated. Fine copy in fine dust jacket (in mylar). Edmunds, Simeon. Hypnotism and Psychic Phenomena. No. Hollywood. Wilshire. 1961. Octavo. Soft cover. Very good copy. Light shelf wear. Edwards, Anne. Sonya. The Life of Countess Tolstoy. New York. Simon & Schuster. 1981. Octavo. Hardcover. First edition. Illustrated. Fine copy in fine dust jacket (in mylar). Edwards, Anne. Streisand. A Biography. Boston. Little, Brown and Company. 1997. 600 pps. Octavo. Hardcover. Reprint. Illustrated. Fine copy in fine dust jacket (in mylar). Edwards, Anne. The DeMilles. An American Family. New York. Harry N. Abrams. Inc. 1988. 249 pps. 4to. Hardcover. First edition. Illustrated in color and black & white. Fine copy in near fine dust jacket (in mylar). Edwards, Bill. Millersburg Crystal Glassware. An Illustrated Price Guide. Paducah. Collector Books. 1982. 80 pps. Octavo. Soft cover. First edition. Illustrated. Fine copy. Edwards, Bill. Rarities in Carnival Glass. Paducah. Collector Books. 1978. 104 pps. Octavo. Soft cover. First edition. Illustrated in color and black & white. Fine copy. Edwards, Bill. Standard Encyclopedia of Opalescent Glass. Identification and Values. Paducah. Collector Books. 1995. 4to. Decorated hard cover. First edition. Illustrated in black, white and color. Fine copy. Edwards, Bill. The Standard Carnival Glass Price Guide. Paducah. Collector Books. 1987. 64 pps. 4to. Soft cover. Revised 6th edition. Illustrated. Near fine copy (very light shelf wear). Edwards, Bill. The Standard Carnival Glass Price Guide. Paducah. Collector Books. 1989. 62 pps. 4to. Soft cover. Revised 7th edition. Illustrated. Near fine copy (very light shelf wear). Edwards, Bill. The Standard Carnival Glass Price Guide. Paducah. Collector Books. 1987. 62 pps. 4to. Soft cover. Revised 7th edition. Illustrated. Near fine copy (very light shelf wear).